Large bay with shallow warm water, perfect white sand, the opportunity to run down the sand dunes, one of the largest in Europe. 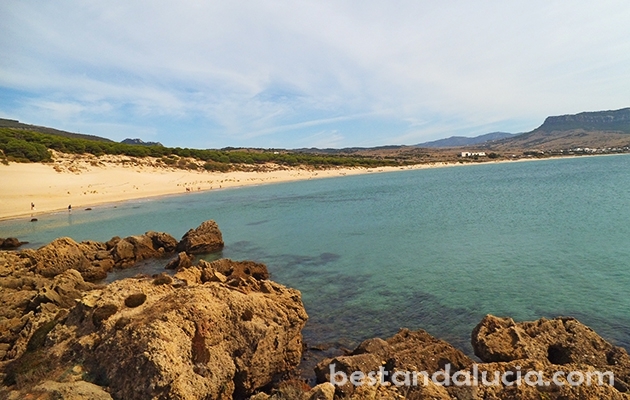 Your kids will fall in love with the Bolonia beach! There is something for adults as well. First of all, there is plenty of free parking space, a couple of nice restaurants with a splendid view of the beach. 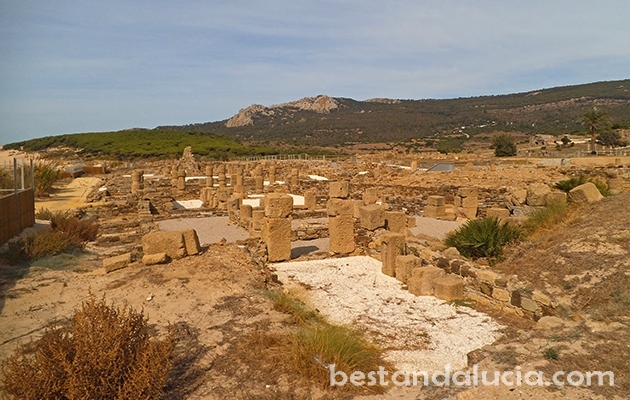 Roman Ruins of Baelo Claudio are in a walking distance from the beach . 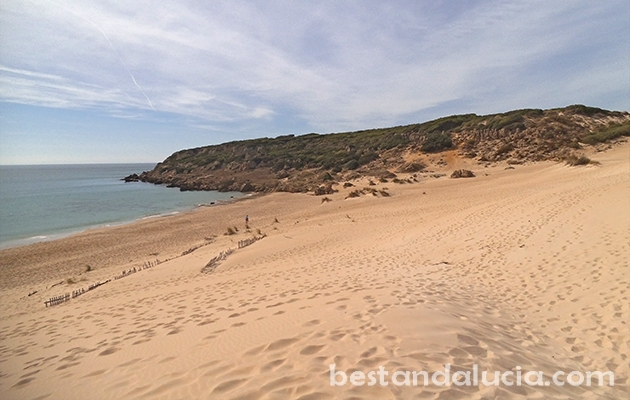 Check all the important information, helpful tips and opinions on holidays in Bolonia, Spain. 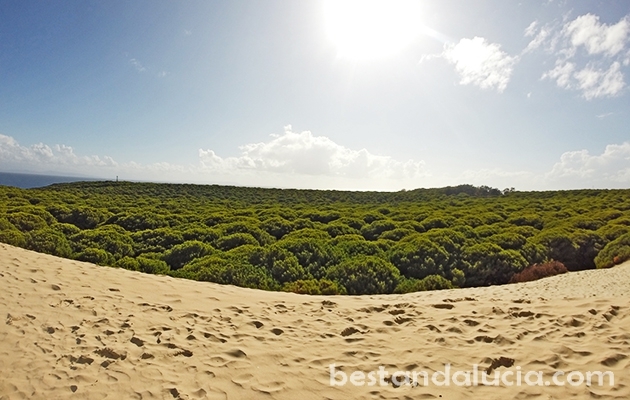 Check out Bolonia’s top-ranked attractions, recommended places to stay and best things to do. Read about restaurants serving best food in Bolonia, Andalucia. Plan and book your vacations online now with Best Andalucia guide. 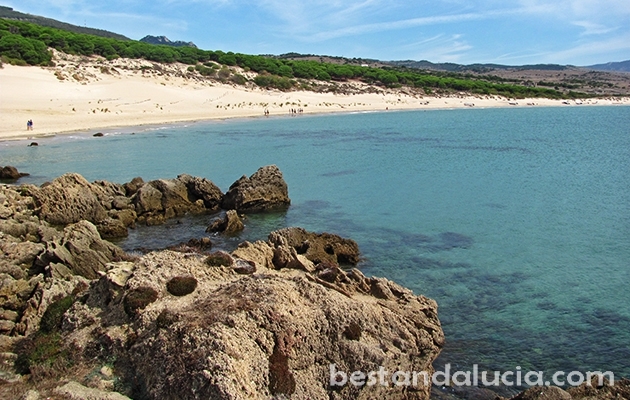 Bolonia is an ideal place for lazy summer family holidays. Find and book top hotels near Bolonia, Spain. 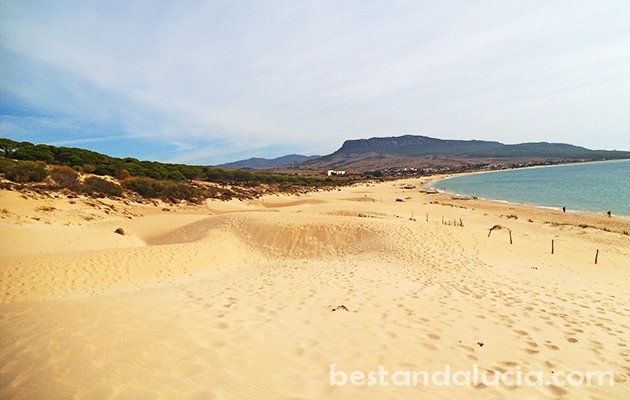 Check hotels near sunny Bolonia in Andalucia offering good value for money. Pick the accommodation that best suits you and your budget. 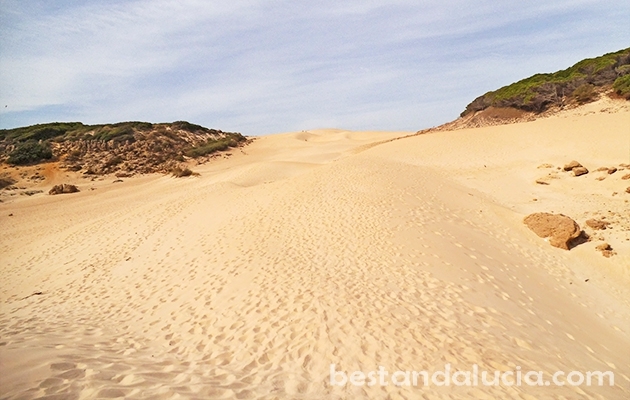 Find and rent apartments, houses and villas for summer holidays in Bolonia, Spain. Pick from the best variety of properties. Luxury holiday homes with great views and facilities and more. 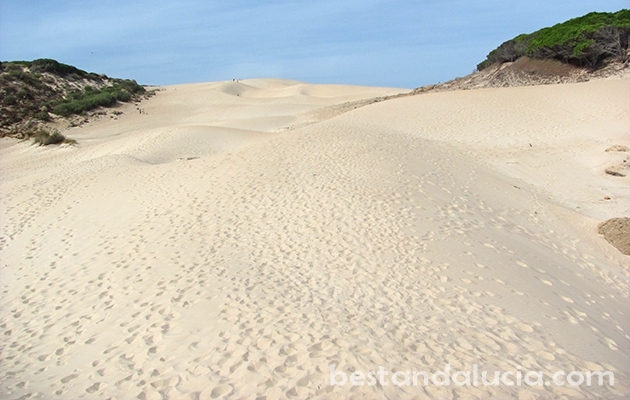 Enjoy spectacular holidays in Bolonia, Andalusia.